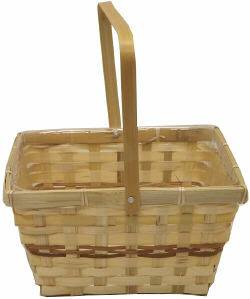 These 9 inch square bamboo baskets are great décor items. They can also be used to store or organize home and office supplies. Use one of these square baskets as a centerpiece on your dining table or at a party or event. 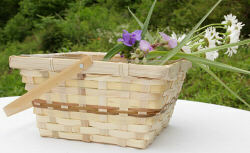 These baskets come with a plastic liner making them good for flower arrangements as well. Also a good basket to package gifts in.